Drs. Rossy & Culp join POA. Dr. Rossy is a Sport Medicine specialist and Dr. Culp specializes in Total Joint Replacement - Princeton Orthopaedic Associates, P.A. We are pleased to announce the addition of William H. Rossy, M.D. and Brian M. Culp, M.D. to our practice. Dr. Rossy is a Sport Medicine specialist and Dr. Culp specializes in Total Joint Replacement. 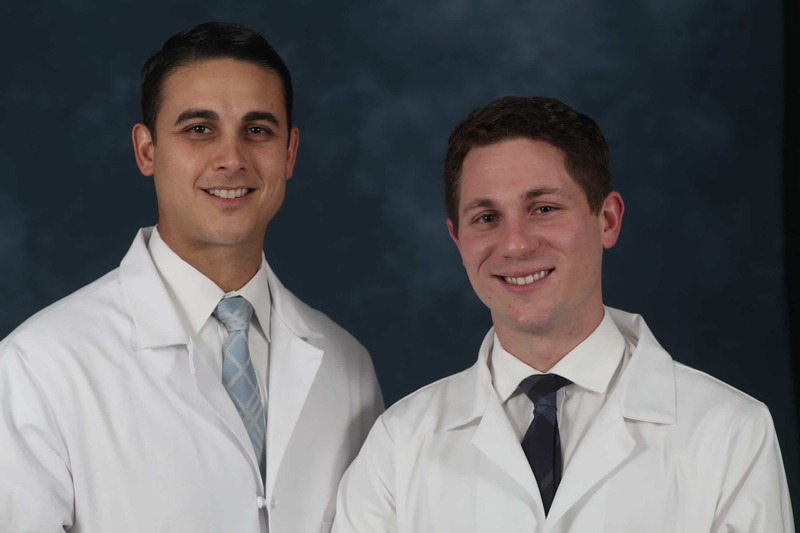 Both physicians are Fellowship Trained Orthopaedic Surgeons and are currently accepting new patients. Dr. William H. Rossy, is a board certified orthopedic surgeon with a sub-specialty interest in Sports Medicine and the treatment of orthopedic trauma. Dr. Rossy specializes in the management of all sports related injuries. He has advanced training in arthroscopic and open management of injuries sustained to athletes at all levels–from high school up through professional. During his fellowship, he worked as assistant team physician for the New England Patriots, Boston Red Sox and Boston Bruins. Dr. Rossy has vast experience in treating ailments of the shoulder as well as complex, multi-ligamentous, injuries of the knee. He also has a particular interest and specialized training in hip arthroscopy and cartilage restoration procedures. By offering the most advanced surgical techniques, he aims to return patients to desired sport and/or activity in a predictable and reliable manner. Dr. Culp is excited to return to New Jersey where he completed his general surgical internship and his orthopedic surgery residency at UMDNJ Robert Wood Johnson University Hospital. He is returning following a one-year Fellowship at RUSH in Chicago doing a fellowship in adult reconstructive surgery. Dr. Culp brings special expertise on knee replacement surgery including minimally invasive partial and total knees as well as complex revision surgery. He also performs minimally-invasive hip replacement surgery from anterior and posterior approaches as well as complex revisions. His practice focuses on patients of all ages who have advanced degenerative disease. Dr. Culp offers outpatient joint replacement surgery to the appropriate candidates. Dr. Culp will be offering the outpatient total joint replacement surgery at both the UMCP Monroe Surgical Center and the UMCP Surgical Center on the hospital campus in Plainsboro.